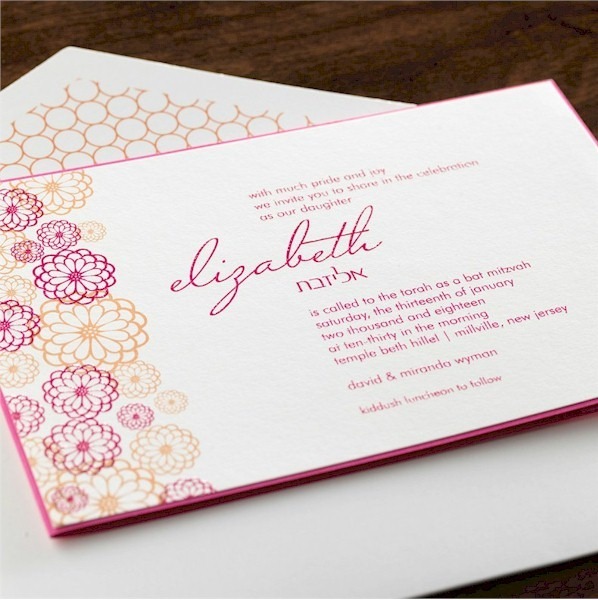 This trend-setting invitation is printed on ecru card stock and features a border of daisies in Tangerine and Raspberry along the left side. Add your optional Hebrew name for the finishing touch! 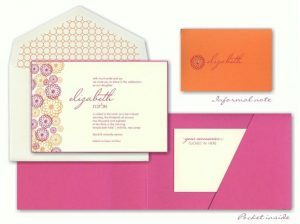 This trend-setting invitation is printed on ecru card stock and features a border of daisies in Tangerine and Raspberry along the left side. Your wording is artfully arranged as shown. The invitation card is placed on top a Watermelon-pink folder pocket layer. Open the folder to reveal a pocket to tuck your enclosures in on the inside right. Measures 7-3/4″ wide by 5-1/4″ high. Shown with Raspberry and Tangerine inks and lettering styles Futura Light and optional Hebrew style Optimeli. The handcrafted ecru envelope displayed is in the Diamond shape and decoration shown is DEC1064. 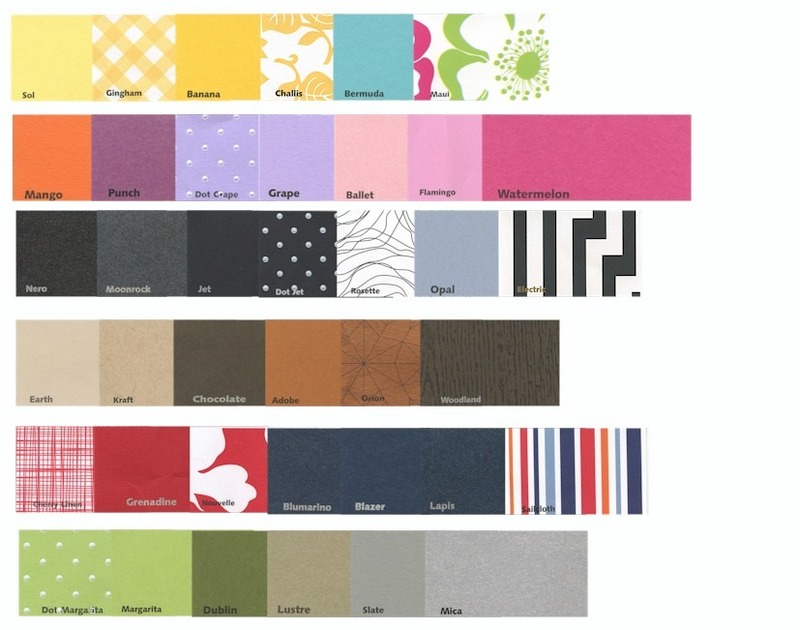 The Reception and Response cards will print on single ecru card stock, and the Informal notes will print on Mango folding stock.